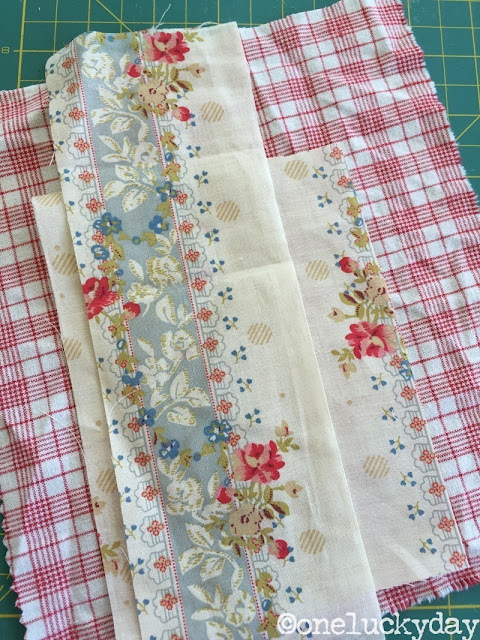 I was inspired today by some fabric that was sitting on my work table. The floral was purchased at a local fabric store for a costume I am creating for one of my nieces. There were just a few small pieces left and I wanted to somehow use it to create a piece of art. 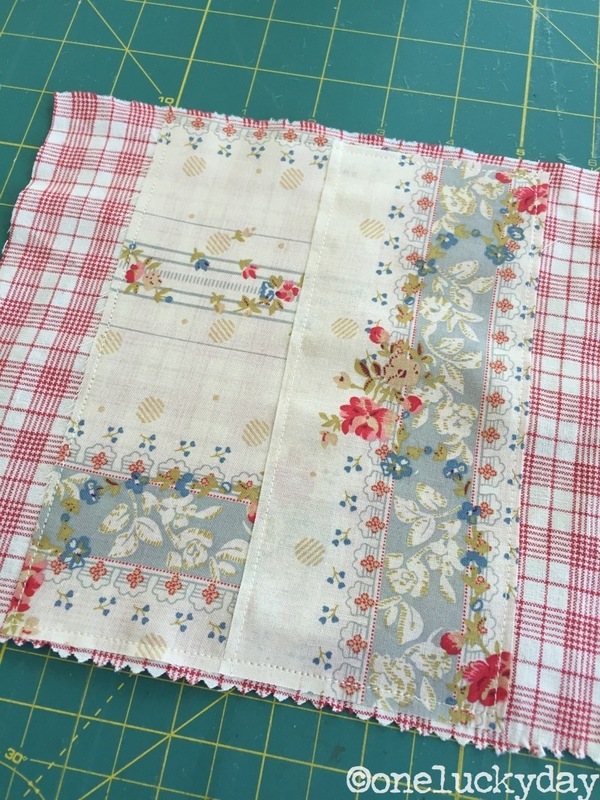 The red plaid is vintage and was purchased in Houston last year at Quilt Market. I thought the two went together well and would be perfect for what I had in mind. I decided to use a 6 x 8" Burlap Panel as my substrate. I didn't have a floral fabric piece large enough to fit the top of the Burlap Panel so I pieced the fabric, then stitched it to the red plaid. I cut the red plaid wider than the panel so it could be wrapped around and stapled to the back, rather than adding any sort of glue to the back of the fabric. Set aside the fabric for now to prepare the substrate. 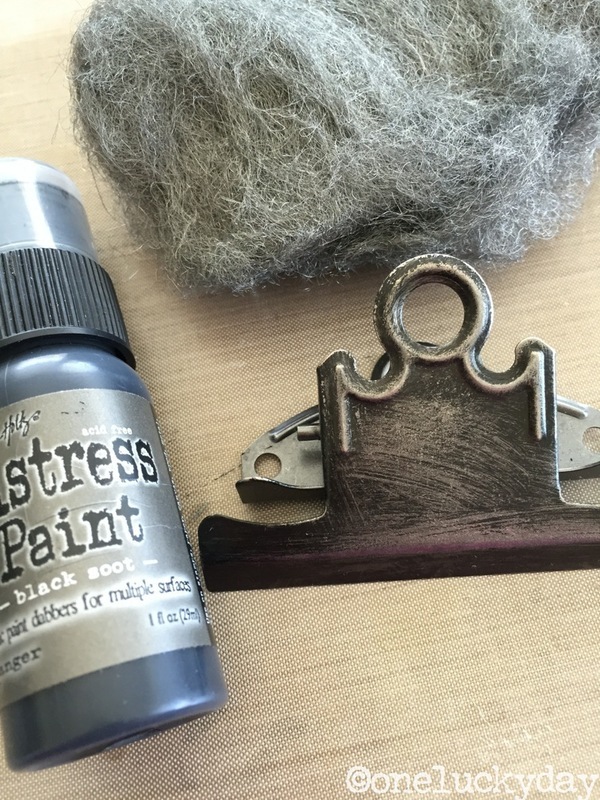 I started by painting a Clipboard Clip with Black Soot Distress Paint. I let it dry for about 30 minutes, then sanded it with steel wool. The extra fine grit acts like a buffer to sand away the top coat and leave a cool worn finish. 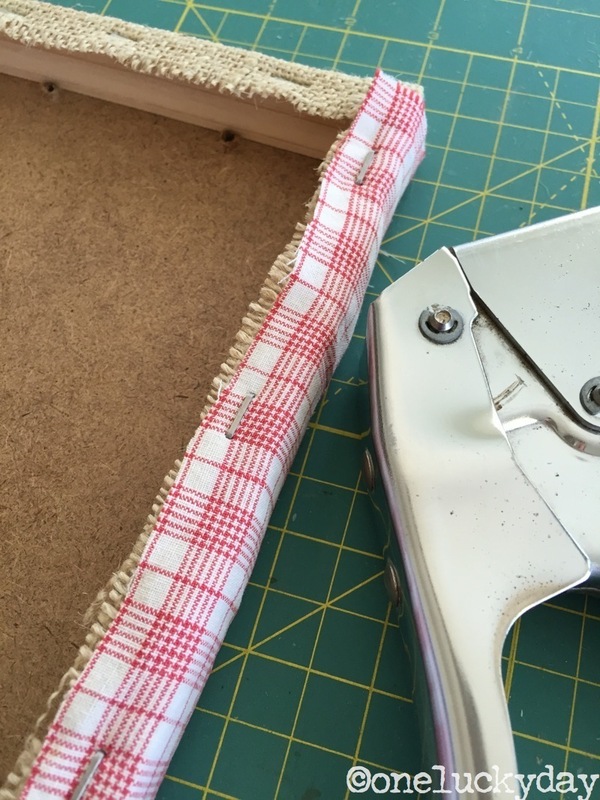 To prepare the panel I needed to add holes for the Clipboard Clip. You could use a drill to make the holes, but I just used an awl and a hammer. Super easy. 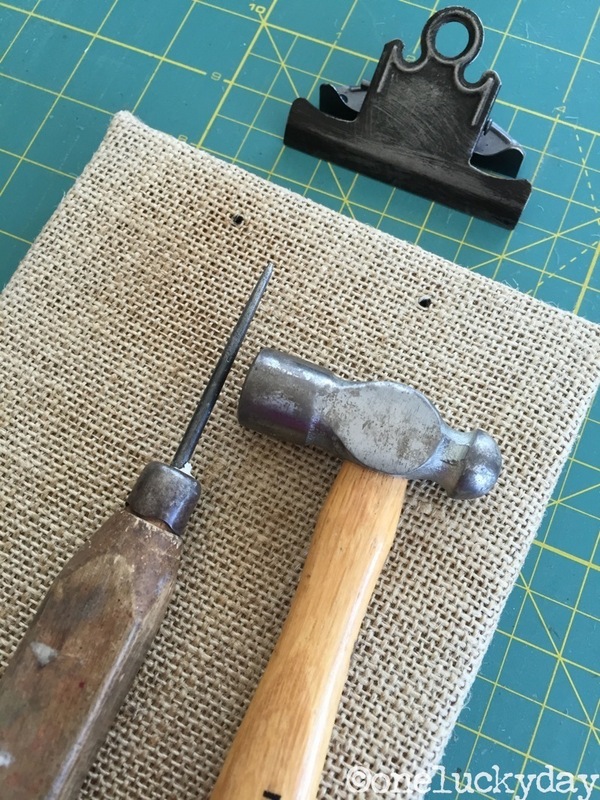 Wrap the fabric around the burlap panel and staple in place. Open the holes on the front side to allow wire to be fed through the Clipboard Clip, securing it to the panel. 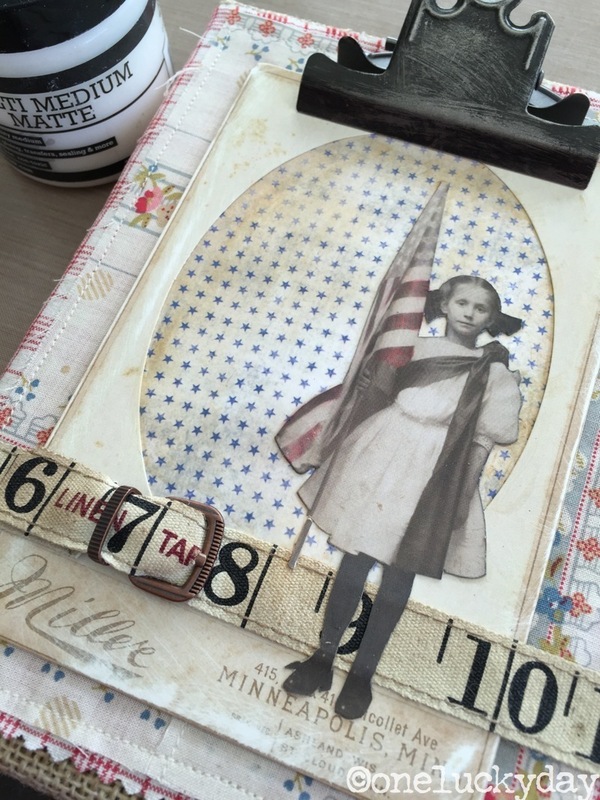 Since the 4th is coming up next week, I decided to use one of my favorite Found Relatives from the Occasions pack...the flag girl. I cut her out then used the Mini Blending Tool and Pumice Stone DI on the edges. Correspondence Paper Stash has so many papers that could be used in patriotic projects. 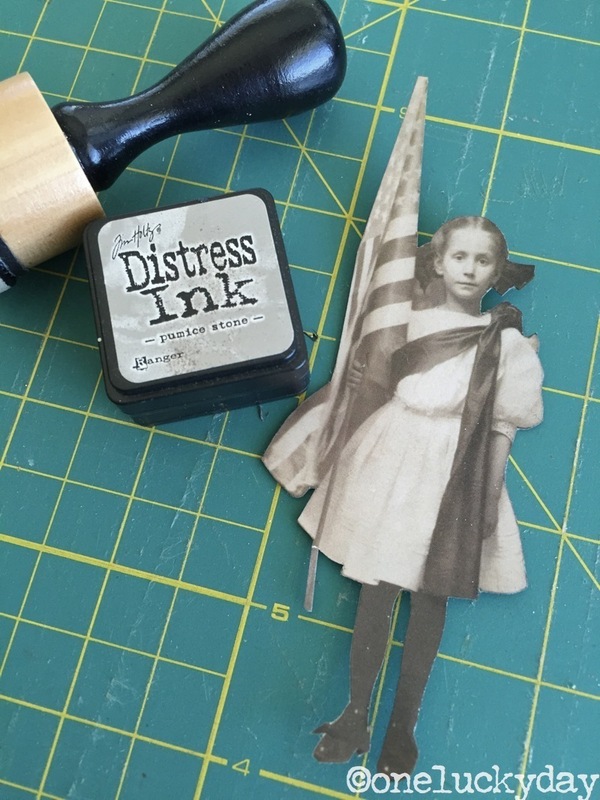 This tiny blue star is from one of the 6 x 6" papers that can be found at the back of the pad. 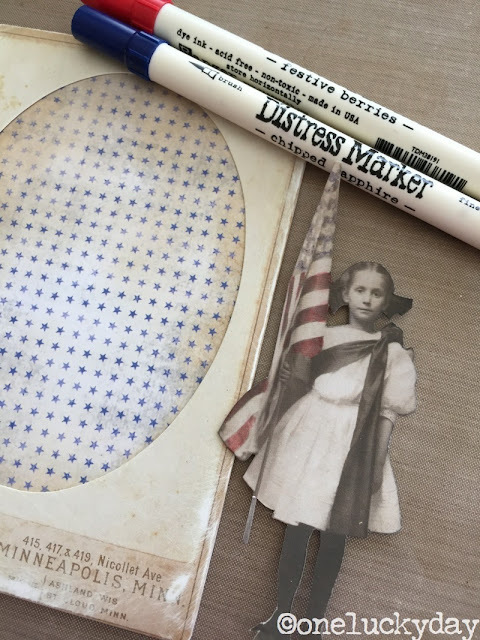 I also used Festive Berries and Chipped Sapphire Distress Markers to tint the flag on the Found Relative. One more thing before we start assembling everything. Ruler Ribbon seemed like a good choice for this piece so I made a belt using the idea-ology Buckles. As you can see I added the Cabinet Card and the "belt". 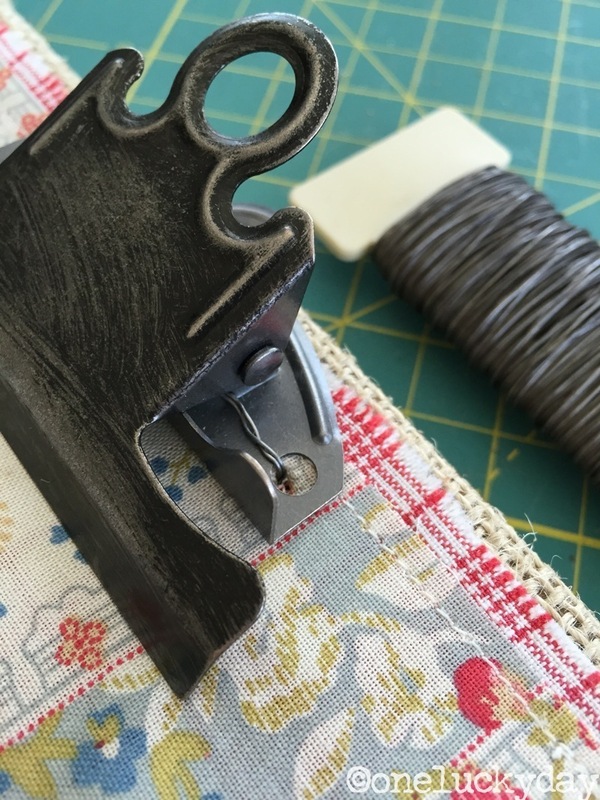 The Cabinet Card slips right under the working clip and the Ruler Ribbon was added using a hot glue on each end. So far so good! Now we can add the Found Relative with Multi Medium. The next step is optional...you could leave her as is or add the drop shadow as I did using a Walnut Stain Distress Marker. If you are going to add the drop shadow you must add MM to the star paper to seal it. Once it's dry, you can add the marker over the slick surface with ease. I added a small Adornments Arrow (I turned it gold with gold Mixitives Alcohol Ink), Small Talk Stickers, and Special Delivery Remnant Rubs. 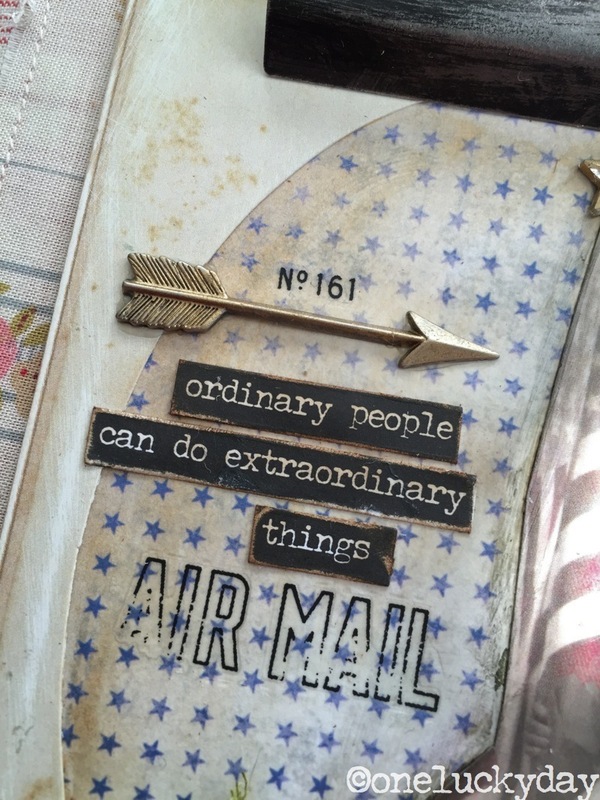 I chose this sentiment from the Small Talk Sticker book because I figured this is the very basis of the American dream...ordinary people doing something extraordinary. For a bit of color I created a few flowers using the new Tiny Tattered Florals die and Core'dinations Kraft Core Cardstock. The "leaves" are made from Cheesecloth that I sprayed with different colors of Distress Spray Stain. I am quite sure I need more practice making flowers so you may be seeing a few more of these in some upcoming projects! 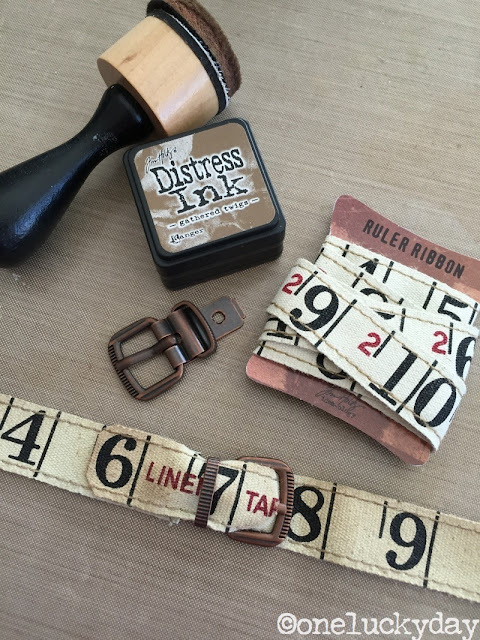 And by the way...the die comes with a Quilling tool to make the process even faster. UPDATE: If you are interested in learning how I made the flowers, my friend Anna-Karin just posted a great video tutorial on her blog. What timing! Lots of information on cutting and rolling the flowers. And the last little detail. Every flagpole needs a star at the top! I used one of the small Mirrored Stars that I colored with gold alcohol ink. It's the perfect topper! I think that floral fabric was a great starting point today! And even though I only had a few scraps, I made it work because I was so inspired by the print. It just looks like a 4th of July picnic tablecloth (made by Ralph Lauren of course). I am always amazed by your creativity! A darling project. thanks Marci, that is so nice of you! I absolutely LOVE this piece! 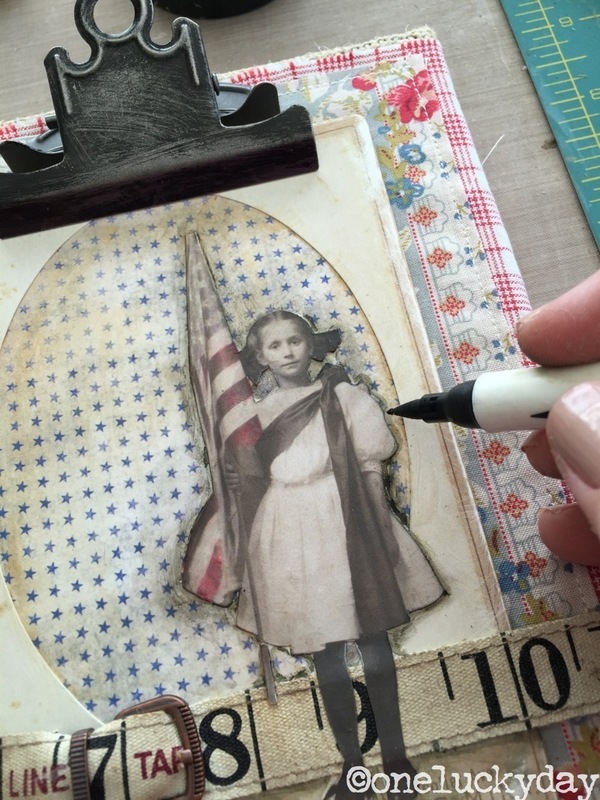 The fabric is fabulous, and goes so well with a vintage style July 4th project. I love the vintage patriotic style. perfection! 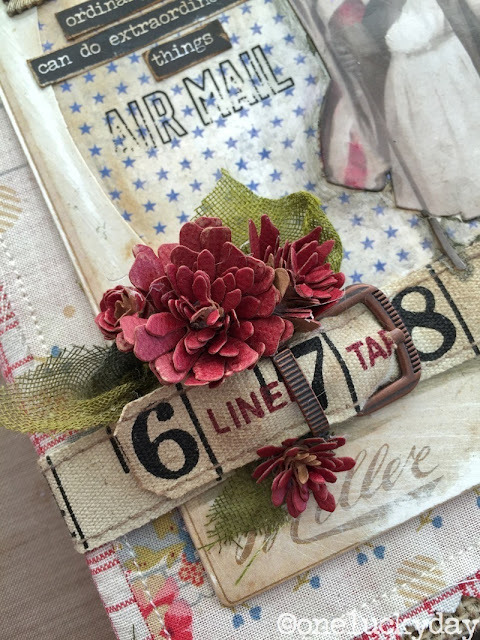 Vintage patriotic charm at its best! You pulled everything together so beautifully! Love the flag girl. TFS Paula! OMG Paula this is "Extraordinary" !! Love the fabric ! Once again you've WOWED us ... I love your flag girl as well... such a great creation and the tiny flowers w/ cheese leaves ... great touch! Paula I love this!!! All the colors and textures and the flowers are the finishing touch! thanks Robin! I need more practice making flowers but I will get it! Paula this is such a gorgeous project! thanks Kelly - glad you liked it! I'm trying to get my chin back up! lol I really enjoyed your process on this one, truly a great one!! I love everything about this project, it's purrrfect. thanks suzyb! Appreciate the love! Stunning!!! I LOVE it so! Love it! 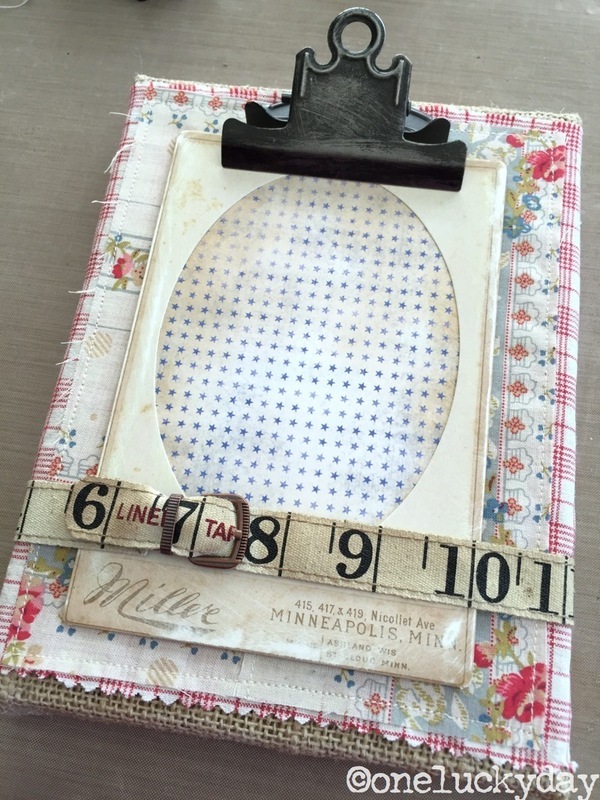 How very creative and beautiful with a great vintage look. Pieced, did Paula say pieced, LOL! Love the floral fabric. Reminds me of flour sacks turned into tea towels. This would make the perfect 4th of July display for my foyer. Now to go check out my fabric stash. Your fabric really adds an extra special element to this piece and I'm not surprised it inspired you so. Great tip about sealing Tim's paper before making the drop shadows! His newer papers are super soft and absorbent (which I love) but you do have to be careful not to over-rub them. I didn't know that buckles were available and make for an amazing design element here. There's magic in those canvas panels and they really do bring out the most extraordinary things! You are a great motivator and teacher and I truly am inspired by you. oooooo, I really love this!! She is simply darling. Every detail is just right. What a beautiful project - never thought to put cloth around the burlap - very effective! Love what you did. All the details. Always so creative....second nature. Talented. Another fabulous project, Paula. Love this! that is utterly utterly awesome!! WOW! Very nice Paula!! LOVE IT! 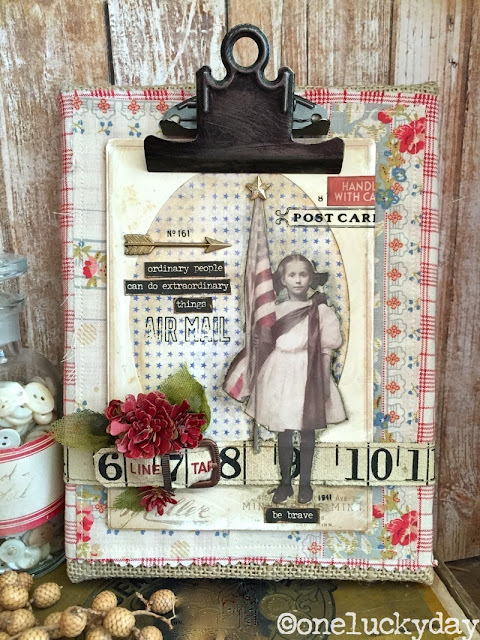 This is such a beautiful project Paula!! Love all those layers. Thank you so much for linking my video!! Absolutely beautiful as always - happy 4th! 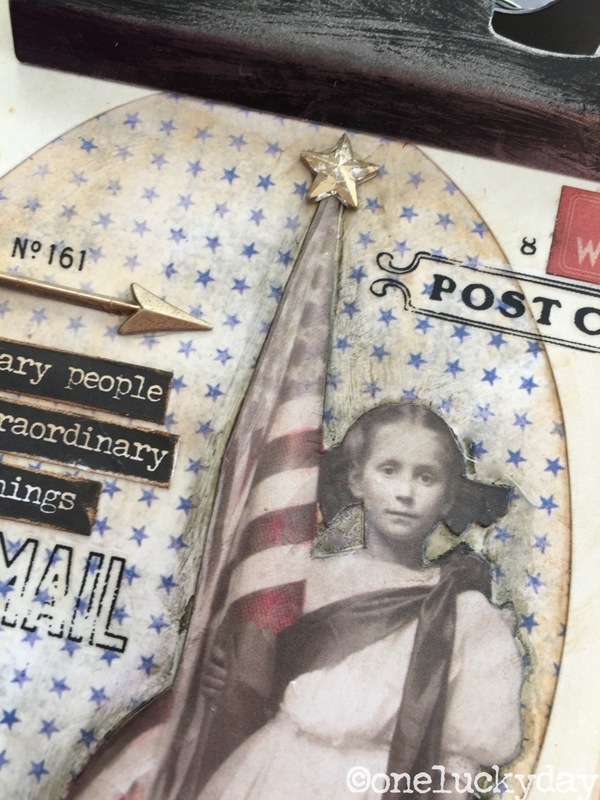 Really fabulous, I'm loving all the patriotic Americana, and I'm Irish- just so inspirational. Thank you so much for sharing your amazing work. Wow! This is awesome, Paula!! I am smitten! This couldn't be any cuter! GUSH!!!! This is gorgeous~! ......... I am inspired by your creativity.